Fried foods tend to be one of the main attractions of the county fair. Who can possibly say no to foods such as funnel cakes, corn dogs, or even fried Oreos? These foods are known for their crispy outside and warm and juicy insides. Even the oil itself can provide you with a flavor that you wouldn’t be able to recreate easily without having one of these machines at your disposal. This is why so many people the taste and texture of foods that are cooked in this manner. Many fryers that you can purchase for your home are safe to use inside and outside. One of the main advantages of frying outside is that your home won’t smell like oil when you have finished cooking. 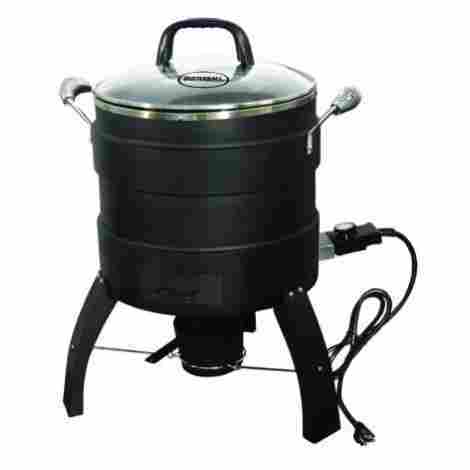 Outdoor fryers also tend to be larger than indoor fryers and this allows you to cook for more people at the same time. If you want to cook an easy meal for yourself or a large group, then you are going to love having one in your home. This is one of the best ways to make some of the best tasting foods such as fried fish, shrimp, chicken or deserts. All you need is your handy fryer and some oil. Many families served fried turkeys at the Thanksgiving holiday because it will help make the turkey stay juicy but crunchy at the same time. 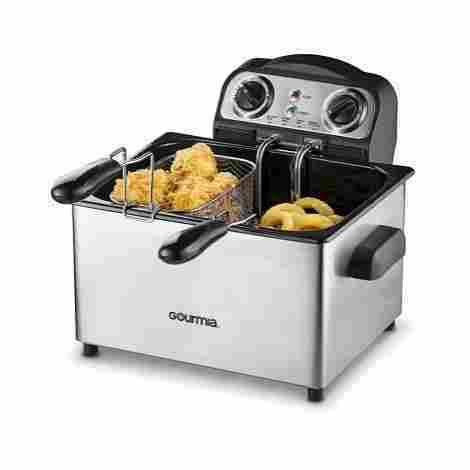 One of the best things about this fryer is the fact that it does not use oil, which means that you can get a fried flavor but without the food fat that you would normally get when cooking with oil. The Big Easy is large enough to cook an entire turkey at once. You can put birds that weigh as much as 16 pounds into this cooker and trust that they will cook perfectly. Rather than using cooking oil, the Big Easy uses an infrared technology that immerses the food into a pot of hot air that moves and circulates quickly. It will give you the fired flavor without the mess. You will need to plan on spending a price that is slightly higher than the average price. The higher price is due to the oil free design that requires more expensive parts. It cooks without using any oil for less mess and healthier food. 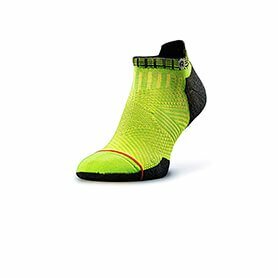 The Big Easy is powered by TRU-Infrared technology which delivers perfect results. It's large enough to cook up to sixteen-pound birds or roasts. The cooking basket has a lifter that lets you remove food safely. A meat thermometer is included with the fryer so you can watch temperatures. Air frying doesn't taste the same as cooking with oil. It takes much longer to cook with this fryer than other ones. This electric fryer is the perfect thing to use inside or outside of your house. It has adjustable temperature settings and it's extra large capacity allows you to cook an entire turkey in the fryer at once. You can easily drain the oil when you are finished which makes cleaning up nice and easy. You will love how your food tastes. It's sold in two different size options. The smaller size is big enough for 14-pound turkeys while the larger size works on 20-pound turkeys. This gives you plenty of room for cooking for a large group of people. It has a drain clip that makes it easy for you to drain the oil when you have finished using the fryer. The surfaces are stainless steel so you can wipe it clean. You can purchase this item at a price that is slightly lower than the average price. This lets you get a great fryer without having to pay a premium for it. It has a high watt heating element that heats the oil quickly. You can drain all of the oil using the drain valve. It meets commercial grade standards for food safety and quality. You can control the temperature using the thermostat on the front. 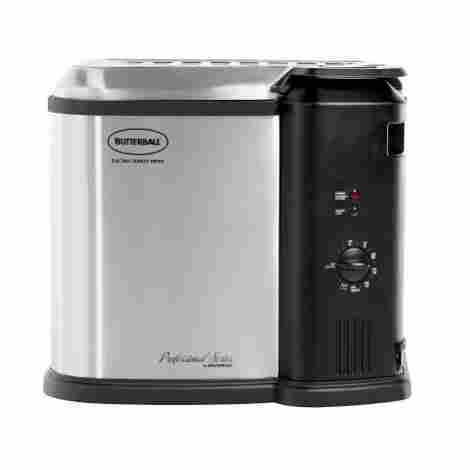 Its large capacity allows you to cook large turkeys and other foods. Its large size means that it won't fit on countertops. The large parts on the fryer will make it hard to clean. The GasOne is great to use when you are outside and away from electricity. 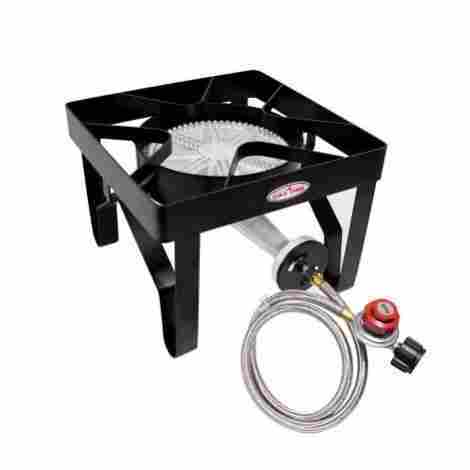 This is a high BTU burner that you can use for deep frying, beer brewing, or other cooking needs. It's able to produce up to 200,000 BTUs of energy so that you can heat large vats of oil which makes it possible to cook for a large group of people. The burner has a steel stand that is heavy and low to the ground. This will help to keep it from tipping over when you have a large vat of oil on it. It has a steel braided hose that you connect to a portable gas tank. This will let you use the fryer when you are not near electricity which makes it great for outside use. You will need to plan on paying a price that is well above the average price. Its high price is due to it being made of heavy duty steel that makes it durable. It doesn't use electricity so it's highly portable easy to use outside. It's capable of producing up to 200,000 BTUs of heat. The unit is a durable and heavy duty for safety reasons. You can adjust the heat by using the CSA certified valve. It's perfect for heating large quantities of oil, water, or other liquids. You need to provide your own pots to use with it. The paint will chip after you use it for the first time. It's perfect for using inside and outside and it's able to cook turkeys that are as large at 18 pounds. This is an idea fryer to have in your home since it allows you to cook for yourself or for an entire party of people. It heats up the oil quickly and even includes thermometer so that you can watch temperatures. It's easy to safely remove the oil from the fryer once you have finished using it thanks to the drain valve. This will help make cleanup nice and easy when you are finished. It has a powerful 1800 watt heating unit will warm up the oil in minutes. You can cook at a turkey at the rate of 3.5 minutes for every pound which allows you to get the perfect Thanksgiving bird. You will see this item sold at a price that is slightly higher than the average price. The higher price is due to the large capacity which costs more to make and adds value to it. It's large enough to allow you to fit an 18-pound turkey or roast in it. There is a drain valve that makes it easy to drain the oil. You can use the included thermometer to monitor your temperatures. The inside of the fryer is non-stick so that you can clean it easily. The lid is vented for safety and is made of stainless steel. Users have reported that the heating unit is underpowered. Other users have mentioned that it's hard to clean because of its size. The Metal Fusion is great for deep frying or for steaming shellfish. It has a gas powered burner and it comes with a steaming pot that you can use for shellfish. You can use a different pot for when you need to deep fry with oil. The burner is able to produce up to 150,000 BTUs of energy so you can cook plenty of different foods on it. It's sold with a 50-quart capacity steam pot. This will let you steam foods such as Maryland Crabs, shrimp, lobsters or other species of shellfish quickly and easily. The burner also allows you to use a heavier duty cooking pot to warm oil. This will let you deep fry foods if you are cooking out for a party. You will find this item sold at a price that is around the average. It's a great value since it's versatile and allows you to cook different foods on it. The burner has a steel stand that is strong and durable. It's gas powered so you can use it anywhere you want. It's sold with a steaming basket to cook shellfish with. It's able to produce 150,000 BTUs of thermal energy. The product is sold with a thermometer. It's too small to use for deep frying a turkey. The metal on the stand can warp when it's heated. Air fryers are a nice way to cook food that is lower in fat. This is because they use hot circulated air to cook food rather than immersing it in oil. They also allow the juices to drain out of the food as well. 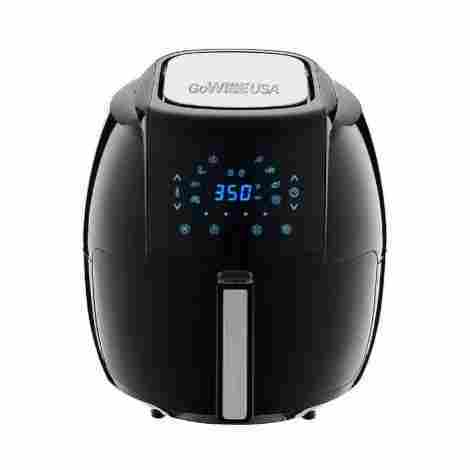 This air fryer is great for indoor or outdoor use and will help you cook lots of different tasty foods. It's capable of cooking a wide variety of foods. You can bake, roast, fry, and even grill with a single device. It's able to make all kinds of crispy foods such as french fries. It has an alarm that reminds you to shake the foods while they are cooking. This will help the foods cook more evenly which will improve the flavor of the food. You will need to plan on paying a price that is above the average price. The higher price is due to it being an air fryer which costs more to make. It's sold with a variety of different cooking racks. You get a recipe book that has fifty different recipes. There is a shake alarm that's built into it. You can cook foods that have less fat with this fryer. It's easy to clean since it doesn't use oil. Cooking with air frying doesn't taste the same as using oil. The product isn't durable and breaks easily if you aren't careful. The Masterbuilt is the perfect fryer to own if you are looking for a healthy Thanksgiving holiday. It cooks turkeys that are as large as 18 pounds all without using cooking oil. You can even get a smoke flavor to the turkey which can really add to the flavor. This is a high-quality fryer that you can use to make your holiday perfect. There is a wood chip box where you can put hickory, apple, or cherry wood chips into it. The fryer will heat the chips and cause them to produce smoke which enhances the flavor. You can cook turkeys that are as large as 18 pounds in this fryer. This makes it easy for you to cook for a large group of people for your Thanksgiving holiday. 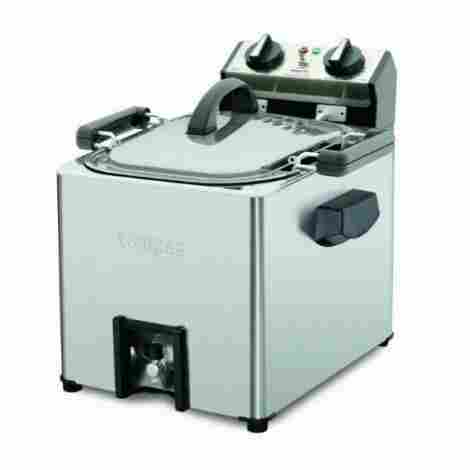 You will be able to get this fryer for a price that is lower than the average price. This makes it a great choice because you get a high-quality fryer without paying a premium price. It cooks without using frying oil which makes it healthier. There is a double wall design that seals heat near the turkey. Its large capacity allows you to cook large turkeys. There is a wood chip box that adds to the flavor. You can hold the lid with a clip on the side. The heating element isn't powerful enough to make the turkey crispy. Users have had issues getting the skin to a crisp in this fryer. Nothing beats a fish fry on a Friday night. This is the perfect item to have for a fish fry since it comes with a large deep fry pan, thermometer, and a gas powered burner. You can take it with you when you are camping or use it outside of your home. It's easy to use and clean which is why you will love it. It uses gas rather than electricity for heat. This means that you can use it just about anywhere since the tanks are portable and easy to carry with you. The pan is made of aluminum and has a 10-quart capacity. This makes it easy for you to cook lots of fish at the same time so it's perfect for a party. You can purchase this fryer at a price that is lower than the average price. This makes it into an excellent value when you consider it's large capacity and portability. The cooker comes with a large 10-quart pot and thermometer. It's gas powered and works with 20-pound tanks of LP. You can use this cooker anywhere you want since it's portable. It comes with a thermometer that you can monitor temperatures with. The cooker has a tripod design so that it's stable. Users have reported that it's missing parts that are required for assembly. The legs are not very strong and can fold. Different foods require different cooking times. For example, chicken needs more time than french fries. Many fryers only have one basket which means that finished food has to wait for the other food to finish cooking. This won't be the case with King Kooker 1618 since it has two baskets. This will allow you to time your foods so that everything is ready at the same time. It has two baskets rather than one. This allows you to cook different foods at the same time without having to wait for one food to finish first before cooking the other foods. It's powered by LP gas rather than electricity. This makes it possible for you to take it with you while you are camping or cooking in an area that doesn't have electricity. The price is one of the best parts about King Kooker. You can purchase this item at an average price so you get a high-quality cooker without having to pay a premium for it. The fryer is completely portable and goes where you go. It has two baskets so you can cook different foods. The burner is able to produce up to 54,000 BTUs. There is a thermometer so that you can monitor temperatures. It runs on LP rather than electricity. Users have had issues with the pilot light blowing out. The pan has been known to leak oil for some people. The Gourmia is a high capacity fryer that allows you to cook different foods at the same time or large quantities of a single food. It has a large tank that allows you to immerse all of your food in oil. You will love how safe it is to cook as well since they have built in plenty of features that keep your safe. This unit has guards that protect you from food splatters so that you don't get burned. There is also a magnetic power cord, rubber feet, and a safety switch as well. There is a lid that is removable and it has an air filter built into it. This will help to reduce odor so that you don't have as much of an oil smell. You can purchase this item at a price that is lower than the average price. This makes it a great option since you get to save on a premium fryer. It comes with a large basket and two small ones. The tank has a capacity of 4.2 liters. The heating element produces 1650 watts of power to heat the oil. It has safety features that will protect you from burns. There is an air filter that helps to reduce oil. Users have had issues with it leaking oil when it shouldn't. Some of the safety features can make it hard to use. Since lots of people love to enjoy deep-fried foods, it only makes sense to own a fryer so that you can enjoy these foods without having to go out to eat. There are lots of choices for when it comes to fryers that you can use outside as well. Frying outside is a great way to enjoy cooking outdoors plus it has the benefit of reducing messes and smell inside of your kitchen. It’s a great thing to do when you are camping or simply having people over for a cookout. 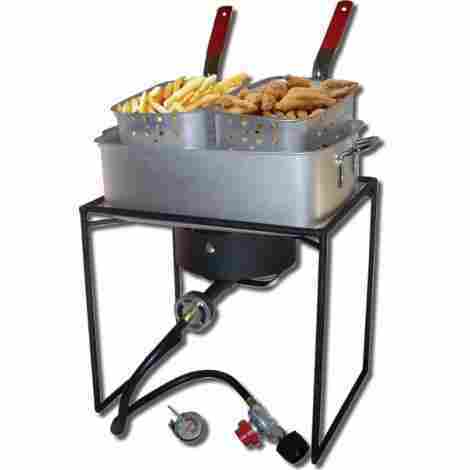 Many fryers can be used inside and outside as well. This makes it versatile since you aren’t always going to want to cook outside. You can purchase small or large fryers which mean that you can cook for yourself or a few people or even cook for a large group of people. 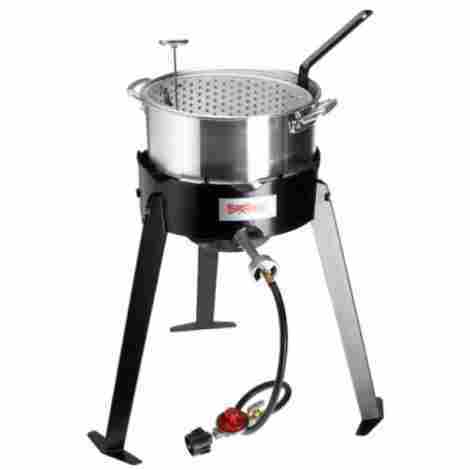 Many fryers are even large enough to cook an entire turkey for Thanksgiving. If you don’t want to use oil, then there are also air fryers that circulate hot air so that your foods are still juicy and crispy without you having to immerse them in oil. 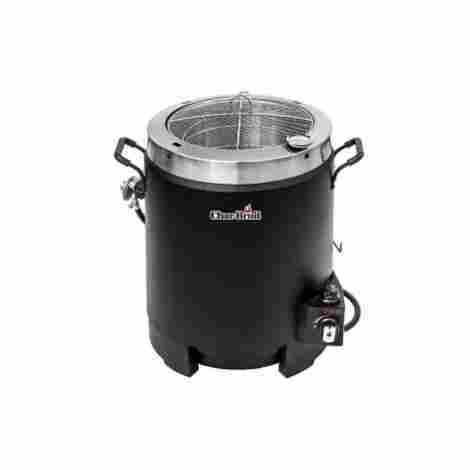 If you love cooking and enjoying food, then you will love it when you own a great outdoor fryer. You will notice that fryers are sold in different sizes. The larger the fryer, the more food you are going to be able to cook at a single time. As you may expect, you are going to need to figure out what size fryer you will need in order to make sure that you are satisfied with it. There are reasons to own a larger fryer and there are also reasons to go with a smaller one as well. One of the main advantages of owning a larger fryer is that you can cook more foods in it. For example, it won’t be possible to cook a turkey for Thanksgiving in a small fryer. Large fryers can also have multiple cooking baskets so that you can cook different foods at the same time. However, a large fryer also means that you need more oil which can get expensive. They also take more time to heat up and cool down when you are finished using them and they can be more difficult to clean. Finally, a large fryer may not fit on shelves as easily. If you are only planning on cooking for one or two people, then you may prefer to own a smaller fryer. The advantages are that you can save money on oil. It’s also easier to clean up the fryer when you have finished using it. The main downside of a small fryer is that you can usually only cook small quantities of food at a single time and you won’t be able to cook foods that have different cooking times at the same time either. When you are picking out a fryer, you should think about your size needs in order to make sure you get one that works for you. You’re also going to want to make sure that your fryer is powerful enough to keep the oil or air hot while you are cooking. This usually tends to be more of a problem with electric fryers as opposed to gas ones but even a gas burner can be undersized in some cases. It’s hard to get food to crisp properly if the heating element isn’t producing enough energy to keep the fryer hot. Both oil and air fryers can have issues with being underpowered. You may notice it the most when you are cooking foods that are frozen. When you put frozen food into the fryer, the temperature will drop because of the food. That means that the heating element needs to be powerful enough to heat the air or oil up quickly so that the food cooks properly and is crispy. Many fryers do not have a strong heating element which means that your food cooks at a lower temperature and gets soggy rather than hot and crispy. It’s important that you look at the wattage of your fryer to make sure that it has a high enough heating capacity for your needs. Gas powered fryers will measure the energy output in BTUs rather than watts but the same rule applies. The higher the number, the better your fryer will be able to maintain cooking temperatures. As you get a larger fryer, you are going to need to make sure that it has a strong heating element so that your food cooks properly. You should always check the heating ability of your fryer in order to make sure that you get a good one. Anything that is used to cook food will need to be cleaned once you have finished using it. For this reason, you will want to think about what it will take to clean your fryer once you have finished using. Some fryers are easier to clean than others so this is an important consideration. Most people prefer to have cooking equipment that is easy to clean once you have finished using it. A fryer should be no exception to this rule. One thing that you are going to want to think about is if the fryer has non-stick surfaces. These are surfaces that are coated with a finish that keeps food from sticking to it once you have finished cooking. Sticky surfaces are hard to clean will require lots of scrubbing once you are done with the fryer. You should never consider purchasing a fryer that doesn’t have a non-stick surface. Another thing that can be handy is to see if the fryer pieces are dishwasher safe. This is a great feature because it means that you have fewer parts that you need to wash by hand. It may not always be possible to have everything fit in the dishwasher, but the more items that fit in the dishwasher, the better off you will be with the fryer. Finally, an oil fryer will need to have the oil drained and stored in order to clean it. If you are looking at an oil fryer, then you should look for one that has a drain valve so that you can drain and store the oil with as little of a mess as possible. This will make cleanup easier. 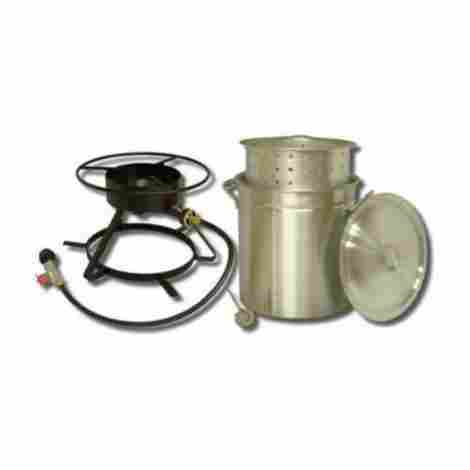 There are two kinds of fryers that you will find when you are shopping for outdoor fryers. One kind is an air fryer and the other is an oil fryer. While both kinds of fryers cook similar foods, the differences are significant and you will want to consider what kind of fryer you want prior to purchasing one. Most people are familiar with the oil based fryer. This kind of fryer heats a large vat of oil up to the cooking temperature and then you immerse your food into the oil to cook it. The hot oil sears and seals the outside of the food so that the juices are looked into it which is why you get a crispy outside with and juicy inside. The problem with oil-based fryers is that this isn’t a healthy way to cook food because the oil has a lot of fat. They also need to cool down for several hours so that you can drain the oil and clean the fryer. Air fryers work by circulating hot air. The food is immersed in the air rather than a liquid oil which creates a crispy outside. Many people still spray cooking oil on the food to help it sear but it’s significantly less oil than an oil-based fryer. You can also clean air fryers easier than oil ones. However, air fryers take a longer time to cook and the taste of the food is different as well due to the fact that there is less oil. They are a healthier option which is why many people like them but the food won’t taste the same as an oil-based fryer. Cooking food with a fryer has significant safety hazards that you need to be aware of so that you don’t get burned. Oil-based fryers heat hot vats of oil and if the oil spills or splashed on you, then you can get severe burns that may lead to a visit to the emergency room. Even an air fryer heats up large metal parts to high temperatures that can cause burns so once again, you need to think about safety. When you are looking at a fryer, you will need to look at safety features to make sure that you don’t get hurt. For example, many oil fryers have lids that will cover the oil tank so that oil doesn’t splash on you when you put the food into the oil. Air fryers are also sealed so that juices don’t splatter on you and cause burns. The fryer should also have an automatic safety shutoff switch so that it turns off if it gets tipped over. A gas-powered fryer should have a strong and sturdy stand on it. This will keep the oil from getting knocked over and spilling which can lead to burns as well. It should also have approved gas valves that will interrupt the flow of gas in the event of an accident. You should never use a gas powered fryer inside of a building as these fryers are for outdoor use only. Electric fryers should have detachable cords that will cut off electricity in the event that something goes wrong with the fryer. When you are shopping for a fryer, you need to look at the safety features and make sure that it has a safe design to it. Q: What is the best oil to use? A: There is some difference of opinion about the best oil. Olive oil tends to be a favorite since it has a good fat structure and has healthy fats. The same thing is said about coconut oil and avocado oil but they are expensive. Low-cost oils such as canola oil or peanut oil tend to be unhealthy and many people avoid them for that reason. If you are looking for a healthier option, then you should consider the high-quality oils. Q: How long can I use the oil? A: Most cooking oils can be stored for up to three months at a time if they are properly filtered and stored in a cool and dark place. If the oil is older than three months, you should probably discard it and get new oil but you will want to keep in mind that you may have to change the oil more frequently. For example, if you fry on a regular basis then your oil isn’t going to last as long. Q: Why are air fryers healthier than oil fryers? A: Cooking food in oil exposes the oil to high amounts of fat which can clog arteries and lead to heart disease. This can be the case if you are using a low-cost oil such as canola oil. Air fryers do not use any oil at all and the juices can drip. This will help to reduce the overall fat content in your food which leads to a healthier diet. If you are concerned about health, then air frying is a better option. Q: How do I get rid of the oil? A: The oil should be disposed of properly by taking it to an approved disposal site. Many companies are recycling the oil for biodiesel so this is a positive reason to dispose of the oil properly. Oil that is disposed of improperly will clog sewer systems and interfere with the treatment of wastewater. While it may not seem like a big deal if you get rid of a few quarts of oil improperly, try and imagine how much it would add up if everyone did it. Q: How do I know if my oil is worn out? A: There are a few different ways that you can tell if your oil needs to be replaced. You can check for things such as dark oil, thick oil, foaming, smoke, or unpleasant tastes for smells. There are also strips that you can use to check the quality of the oil as well. You can also purchase an oil testing tool that measures the total polar material and compare it to the total polar compounds in the oil.